In 2008, I published (along with epidemiologist Carl V. Phillips) the first population-level evidence that American men have quit smoking by switching to smokeless tobacco. The study appeared in Harm Reduction Journal, and it is available here. We used data from the 2000 version of the annual National Health Interview Survey (NHIS), which is “the principal source of information on the health of the civilian…population of the U.S.” Each year, the Centers for Disease Control and Prevention (CDC) uses NHIS to estimate smoking prevalence in the U.S.
Every few years, the National Cancer Institute (NCI) sponsors an NHIS supplement that asks questions related to cancer risks. In the 2000 survey, current and former smokers were asked about the method they had used when they either successfully (former smokers at the time of the survey) or unsuccessfully (current smokers) tried to quit smoking. One of those methods was switching to smokeless tobacco. We estimated that 359,000 American male smokers had tried to switch to smokeless tobacco during their most recent quit attempt. Of these smokers, 73% (261,000, termed “switchers”) were former smokers at the time of the survey, representing the highest proportion of success among all methods. In comparison, the nicotine patch had been used by an estimated 2.9 million men in their most recent quit attempt, but only 35% were former smokers at the time of the survey. Of the 964,000 men who had used nicotine gum, 34% became former smokers. Of the 98,000 men who used the nicotine inhaler, 28% quit successfully. None of the estimated 14,000 men who had tried the nicotine nasal spray became former smokers. Forty-two percent of switchers reported quitting smoking all at once, which was higher than among former smokers who used medications (8–19%). Forty-six percent of switchers were current smokeless tobacco users at the time of the survey. In summary, we showed that switching to smokeless tobacco compared favorably with pharmaceutical nicotine as a quit-smoking aid among American men in 2000, despite the fact that few smokers knew that switching provides almost all of the health benefits of complete tobacco abstinence. This study shows that tobacco harm reduction is a viable cessation option for American smokers. We were excited about the results from the 2000 NHIS, and we expected to see an increase in switching in the 2005 survey, which contained the NCI cancer supplement. Over that period awareness of tobacco harm reduction was growing; over 20 articles and reports were published by think tanks and prominent journalists (read them here), and there was a congressional hearing on tobacco harm reduction in 2003 (see my testimony here). We were therefore astounded to learn that switching to smokeless tobacco was removed as a quitting option in the 2005 NCI cancer supplement. 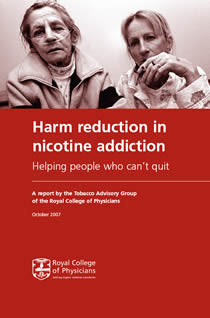 Just as tobacco harm reduction gained increased visibility and more American smokers were likely making the switch, NCI closed the books on this important topic. Some would ask: Did anti-tobacco officials at NCI also expect an increase in switching and chose not to document it? Federal officials have just released a draft of the 2010 NHIS Survey Questionnaire, available here. Once again, NCI is sponsoring a supplement, and once again the switch-to-smokeless quit-smoking option is absent. The omission this year is especially egregious, as the new tobacco law requires the FDA to evaluate the impact of tobacco harm reduction on the population. How can a tobacco harm reduction be evaluated if the federal government refuses to collect the data? A commentary just published in the Journal of Public Health Policy from a faculty group at the University of Buffalo describes the debate about the role of smokeless tobacco in tobacco harm reduction as an “emotional quagmire” dominated by “anger”, “contempt” and “disgust”. The authors are Jess Alderman, “an attorney and physician specializing in public health law;” clinical psychologist Katherine Dollar; and professor of health behavior and School of Public Health Dean Lynn Kozlowski. They describe “The American Cancer Society Controversy” -- the fallout from a short article published in 2008 in the Cancer Society journal CA that was critical of the Royal College of Physicians’ support for tobacco harm reduction. The article was followed by a series of letters to the editor from harm reduction advocates and opponents, all of which are available online here. I wrote the first published letter, and I agree with Alderman that this back-and-forth showcases the contrasting viewpoints. I recommend reading the article and letters, as well as the Royal College report. I think the time for constructive debate about tobacco harm reduction is long overdue. I have conducted research in this area for 16 years, and I have published my findings in professional medical journals and in the media. I welcome all invitations to present the facts about and explore the issues surrounding tobacco harm reduction in a rational, science-based manner. On March 17 Japan Tobacco, the dominant cigarette manufacturer in that country, announced the launch of a new smokeless tobacco product called “Zerostyle Mint”. 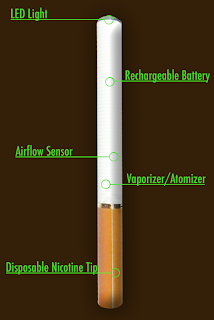 As the picture shows, the product consists of a mouthpiece and a replaceable cartridge containing smokeless tobacco and flavorings. The product appears to be a variation on smokeless tobacco, which in the U.S. and Sweden is placed inside the lip. In 2007 I participated in a tobacco harm reduction symposium held at the Swedish Embassy in Tokyo. I gave a lecture on the scientific foundation for tobacco harm reduction at that event, and I learned a lot about Japanese culture and tobacco use. It is evident that harm reduction is an important concept for almost everyone in Japan, including smokers. Although Japanese health and policy experts are concerned about the health risks of smoking, they favor rational and reasonable solutions instead of policies driven by extremists. It’s an environment in which satisfying and safer cigarette alternatives are likely to be embraced. But there are large cultural differences between Japan and the U.S. or Sweden. First, although smoking prevalence rates in Japan are fairly high, the Japanese tend to be very light smokers. This means that traditional Swedish and American smokeless products may be too strong for J apanese smokers. In addition, there is no tradition of using oral tobacco products in Japan, so it might be uncomfortable for smokers to use a traditional smokeless product, and even more uncomfortable for them to dispose of it. Zerostyle Mint shows that tobacco harm reduction can take different forms in other cultures. The new offering from Japan Tobacco is a smokeless product, but it is not placed inside the mouth. Instead, the user puffs on the mouthpiece, which releases tobacco and nicotine flavor from the cartridge. It is definitely an innovative product that clearly meets harm reduction standards, and it might appeal to the esthetic preferences of Japanese consumers. The biggest question is: Will it succeed as a cigarette substitute? The American Association of Public Health Physicians, the national voice of directors of state and local health departments and of other public health physicians, has filed two citizens’ petitions with the FDA regarding regulation of e-cigarettes. Both are available for review and comment at the federal Regulations.gov website. Legal - AAPHP agrees with federal Judge Richard Leon, who recently found that “Congress enacted the Tobacco Act to confer FDA jurisdiction over any tobacco product – whether traditional or not – that is sold for customary recreational use, as opposed to therapeutic use. As such, the Tobacco Act, in effect, serves as an implicit acknowledgment by Congress that FDA's jurisdiction over drugs and devices does not, and never did, extend to tobacco products, like electronic cigarettes, that are marketed in customary fashion for purely recreational purposes.” Unfortunately, Judge Leon’s decision was challenged by the FDA and is currently under review by a federal appeals court. The second petition urges the FDA to correct inaccurate and misleading claims about electronic cigarettes made at its July 22, 2009, press conference, and to truthfully inform the public about these products. The AAPHP petitions urge FDA actions that would enormously benefit public health, but I am not confident that the agency will pay any attention. Over two years ago, New York State Health Commissioner Richard Daines filed a petition requesting minor revisions in package labeling and the sale of pharmaceutical nicotine that would greatly expand consumer awareness and availability. The petition was supported by numerous tobacco research and policy experts and organizations. The FDA never responded. Last week the journal PLoS Medicine announced that it will not accept for review any research studies funded in whole or part by the tobacco industry. PLoS stands for Public Library of Science, “a nonprofit organization of scientists and physicians committed to making the world's scientific and medical literature a freely available public resource.” But PLoS Medicine’s action restricts the availability of scientific and medical research. PLoS Medicine joins only the journals of the American Thoracic Society in banning tobacco industry-sponsored research. Still, this is an ominous development that potentially affects scientific research at universities throughout the U.S.
PLoS Medicine editors know that virtually all university research projects are funded by sponsors with vested interests. This includes pharmaceutical manufacturers, the National Institutes of Health and non-profit organizations like the American Cancer Society. It is the responsibility of the university to ensure both the quality of the research and the integrity and reputation of faculty investigators. While some controversial funding sources might warrant special scrutiny, the solution isn't prohibition. In fact, banning tobacco industry funded research and its publication is a pernicious development. Right now it's Big Tobacco. But what about activists who believe that the devil's work is carried out by Big Oil, Big Alcohol, Big Pharma, Big Defense, Big Auto and Big Food? All of these are controversial industries and sources of research funding. Universities are already threatened by declining state and federal support. If PLoS Medicine’s ban is followed by other journals, university faculty and their research programs will become the pawns of social activists of all stripes. Is PLoS Medicine’s ban of industry-funded research also applicable to the American Legacy Foundation? Legacy was created and funded by a multi-billion dollar voluntary settlement between tobacco manufacturers and states’ attorneys general in 1998. Legacy is worth over a billion dollars; it has given out over $150 million in grants, and it funds the Schroeder Institute for Tobacco Research and Policy Studies . There is no doubt that Legacy is funded by the tobacco industry; will Legacy-supported research studies be banned from PLoS Medicine? A university’s faculty must be free to pursue research regarding all legitimate subjects, pursue research funding from all legitimate sources, and publish findings in all legitimate scientific and medical journals. By bending to the whims of social and political activists, editors at PLoS Medicine have discredited their journal.